Roaring out of Knoxville, Tennessee with all the force of a turbo-charged hot-rod, the rock’n’soul imbued Gran Torino leave a memorable mark on all who have had the pleasure of seeing them perform. A stylish, rhythmically enhanced machine, this nine-member, horn-driven ensemble is clearly cruising down the right road. Unquestionably a sure thing when it comes to live performance, this multi-ethnic crew has delighted sold-out crowds for the past four years all over the East Coast and their home turf of the South playing upwards of 200 shows annually. 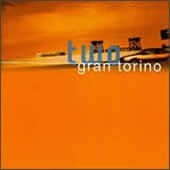 Gran Torino released their first studio album, Gran Torino One, in October 1997 and immediately captured attention by selling 15,000 copies. Now, they prepare to break through and conquer new territory, hitting on all nine cylinders with the pending release of their much anticipated second studio album, the aptly titled, Gran Torino Two. Known for its combustible live shows, Gran Torino has attracted legions of loyal fans from New England to Texas. “We play the South two-to-one compared to everywhere else,” says Ford. Having sold more than 20,000 copies of their first two albums, Gran Torino One and their 1996 EP Live at the Chameleon Club, mostly at their concerts, there has to be some kind of description of their magical chemistry on stage–and between band and audience. In the new millennium, Gran Torino will be bringing their music to the masses.